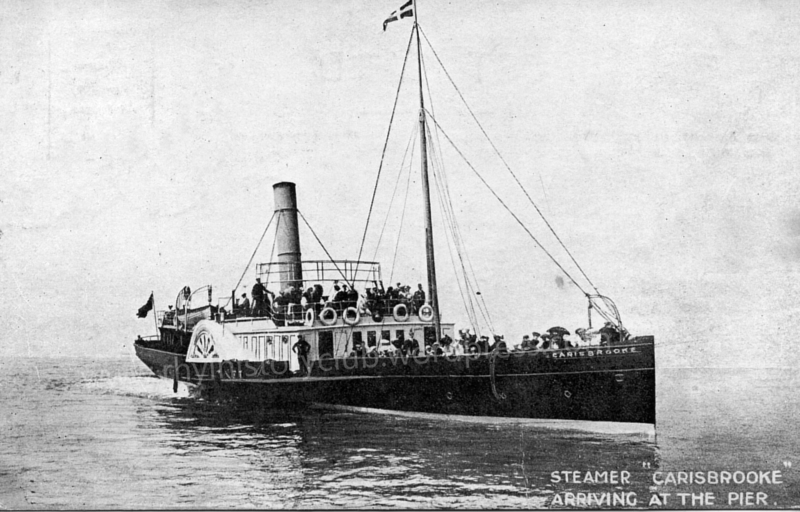 The year was 1906 and, although there was no longer regular commercial trading between Rhyl and Liverpool, pleasure steamers continued to run – not only to Rhyl pier but also into the Foryd. 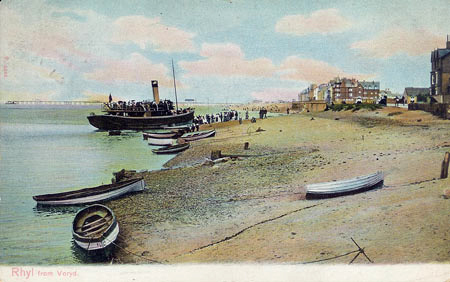 These steamers often experienced difficulties entering the Foryd harbour on a falling tide, and in August of that year hundreds of curious spectators gathered on the beach opposite the Palace Hotel where the “Carisbrooke” was stranded on the sands. It had been making for the harbour but the boat got too near to the beach and was stranded. 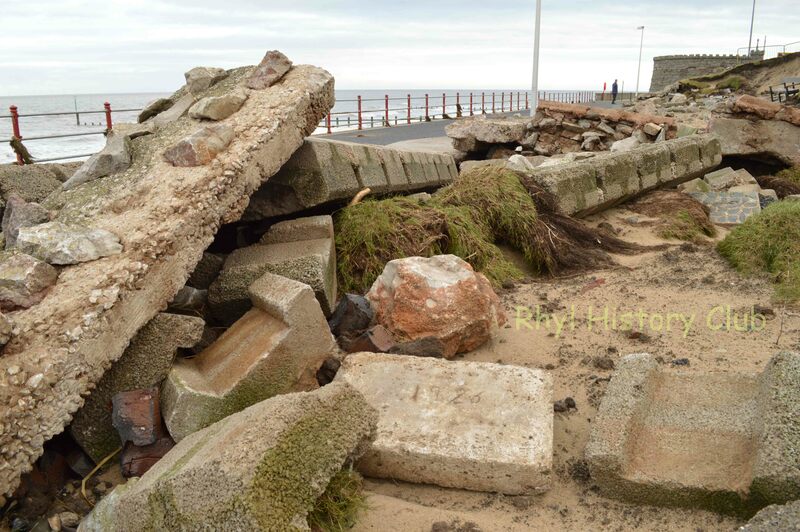 A powerful tugboat failed to free the vessel which remained on the sands from the early hours of Sunday morning August 12th, until the Tuesday, 14th, when a higher tide than usual helped to refloat her. An article in the Rhyl Record and Advertiser in June 1906 enthuses about the the wonderful day out to be had going to Caernarfon on board the Carisbrooke. It describes luxurious salons, a well appointed bar, and of the mountain and sea air to be enjoyed throughout the trip as well as the beautiful scenery. 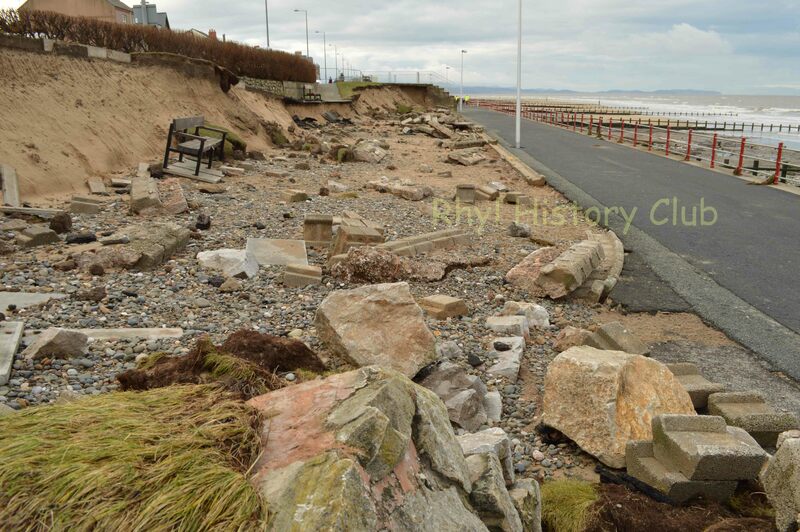 At Caernarfon passengers could enjoy up to two hours in the town, if the tide permitted, before turning for home. 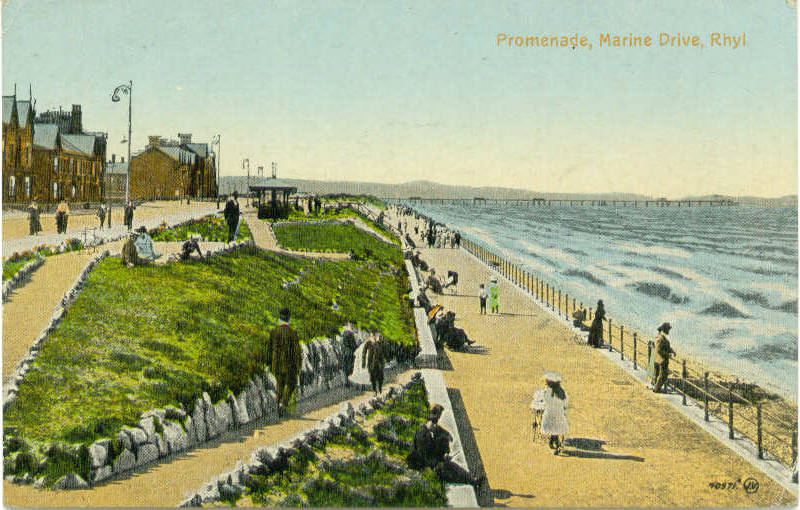 It seems that the “Carisbrooke” only operated for the 1906 season in Rhyl, although she reappeared as the “Rhos Trevor”. 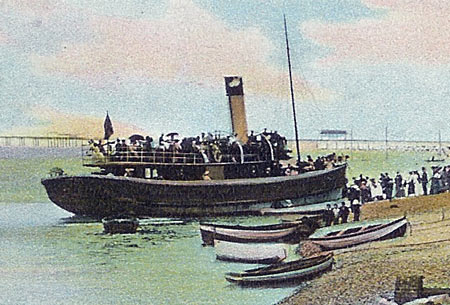 The “Carisbrooke” was built in 1876 as a pleasure excursion ferry by Barclay, Curle and Co., Glasgow and operated between Southampton and the Isle of Wight. An iron paddle steamer, her dimensions were 165.7 feet x 20.1 feet (approx. 50.5m x 6.1m). In 1906 she was sold to the Colwyn Bay and Liverpool Steamship Company, then in 1907 to the Mersey Trading Co. Ltd and renamed the “Rhos Trevor”, at the end of 1908 she moved on again to W.Hawthorn of Rhyl. 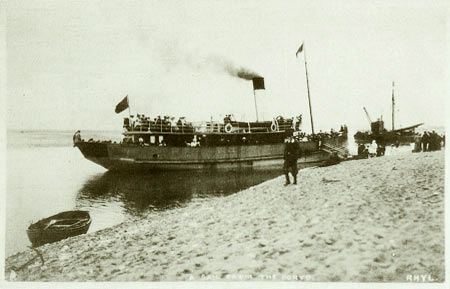 In May 1909 the “Rhos Trevor” was sold to the L&NWSS for short excursions along the North Wales Coast and was renamed “St. Trillo”. She served as a minesweeper during the First World War, returning to L&NWSS service in 1919. “St. 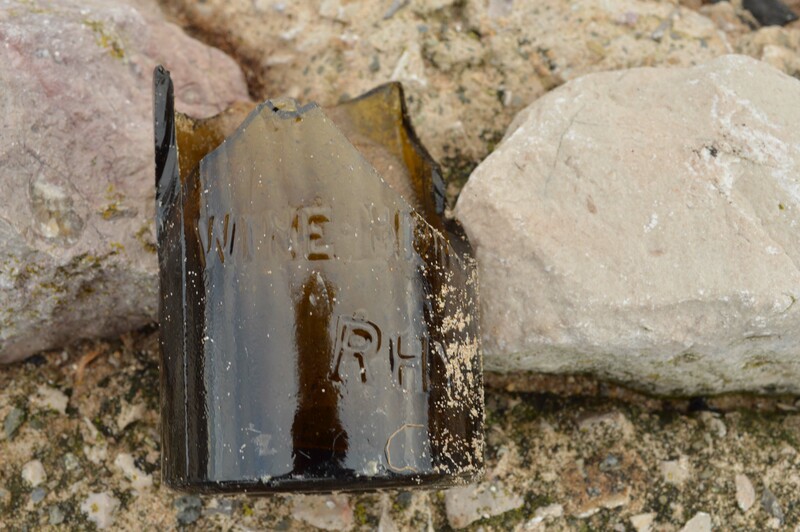 Trillo” was sold to Spanish owners in 1921, decommissioned in 1932 and broken up in 1935. 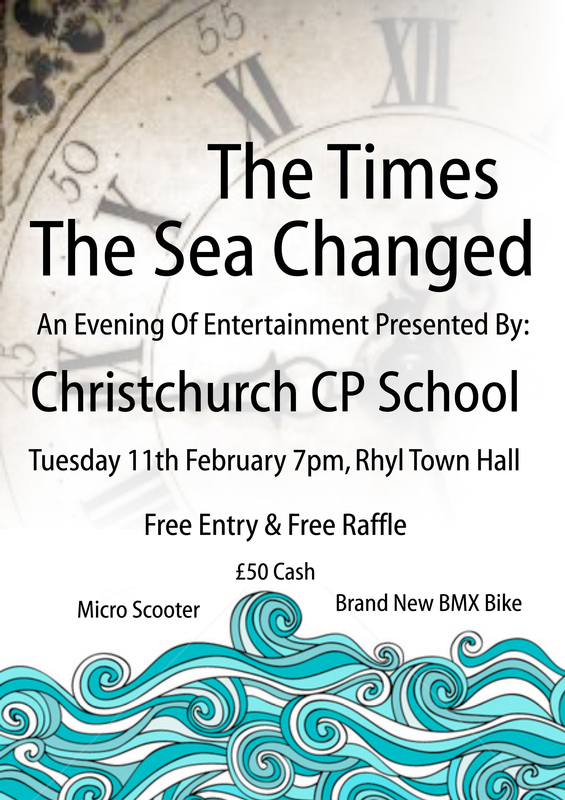 The children from Christchurch CP School have written and created a drama project about the history of the power of the sea around Rhyl. Working with artists and authors, they have put together an evening to explore some of the times the sea changed. 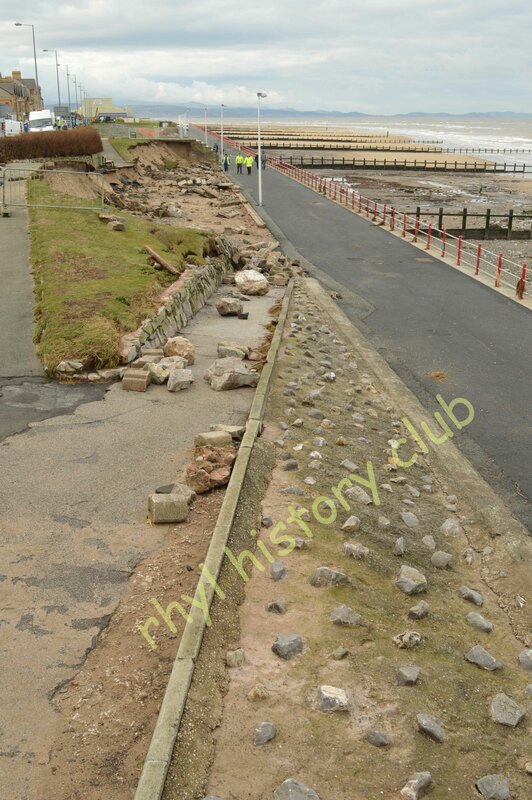 This part of the promenade at Splash Point has looked pretty much the same for over 100 years, until this week. The storm of December 2013 will certainly go down in history. Our thoughts are with all the people who have been affected by the flooding.